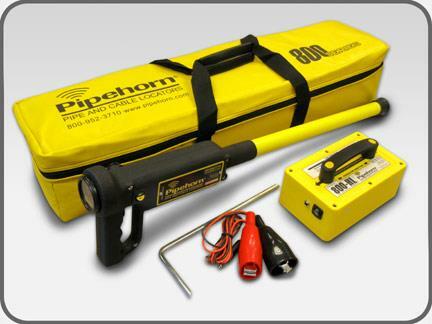 Pipehorn is the best tool in the industry when direct connect is not possible, and on the toughest conductors: coated iron pipes with insulated joints, unenergized power (street/parking lot lights), worn-out tracer tape & wire, short side services & stub-outs, concentric neutrals, and fiber. Nothing sweeps areas for un-marked utilities like a Pipehorn. * Please call us with any questions about our locator pipe cable in Mount Vernon WA and the Skagit County area.